Fellowship with God and others happens all over....including Summer Camp! 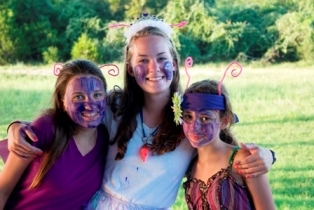 First Presbyterian Church wants all children and youth to have an opportunity to attend a Mission Presbytery PCUSA-affiliated camp or conference. The Mission and Outreach Committee has budgeted dollars to help offset the cost by providing each camper with a stipend based on their membership status at FPC (meaning non-members are also eligible). The only requirement is that an application be completed and returned 6 weeks prior to the camp or conference. Camp/conference scholarships will be distributed based on one week of a Mission Presbytery PCUSA-affiliated camp or conference. A scholarship application is required for anyone interested in receiving a scholarship to attend a Mission Presbytery PCUSA-affiliated camp or conference from First Presbyterian Church. You may apply for more than one child on the same application. Applications MUST be completed and received by the deadline. Take a look at the fun things happening in the Mission Presbytery. 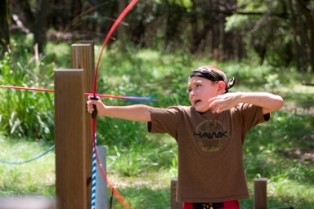 Camps and conferences are not just for summer anymore!